Length: 176mm. Image shows painted and assembled kit. 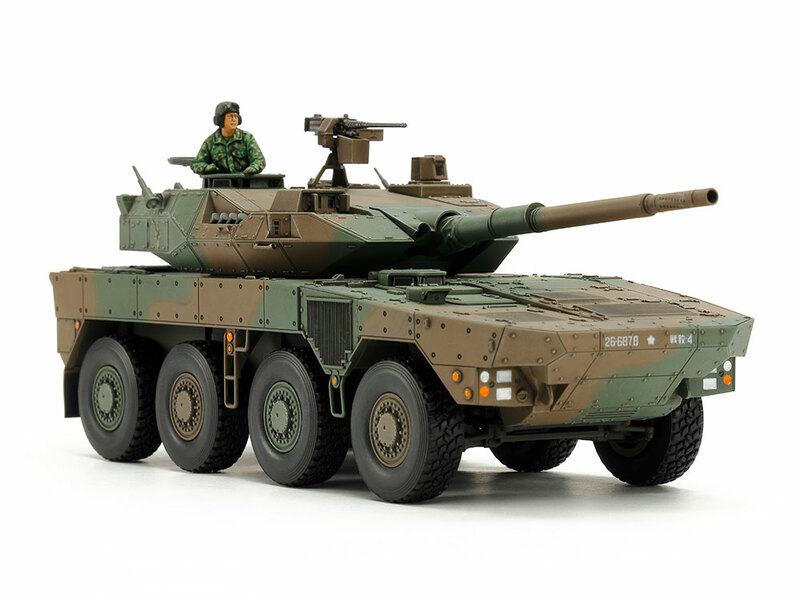 Japan Ground Self Defense Force (JGSDF) units began receiving the eight-wheel Type 16 Maneuver Combat Vehicle in 2017; it is expected to form a central part of the Rapid Deployment Regiments called for in a mobile Japanese defense policy. It certainly fits the bill, with a top speed of 100km/h thanks to a 570hp engine, and can utilize public highways as well as being airlifted. The distinctively modern turret is equipped with a domestically designed L/52 105mm rifled gun, capable of accurate fire on the move; it is anticipated that Type 16s will be able to both provide supporting fire and take on enemy armor. ★This is a 1/48 scale plastic model assembly kit. Length: 176mm, width: 63mm. 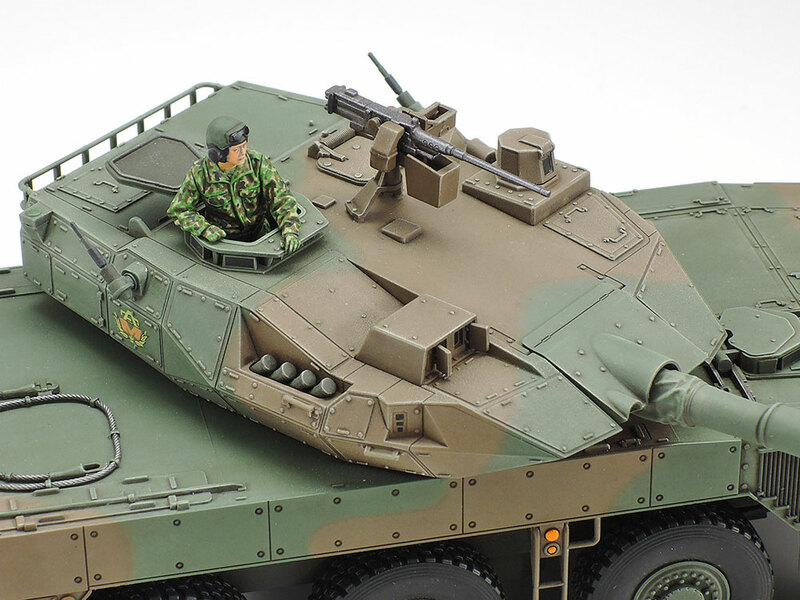 ★The modern silhouette with 105mm gun is accurately depicted. ★Features a realistic rendering of the complex underside. 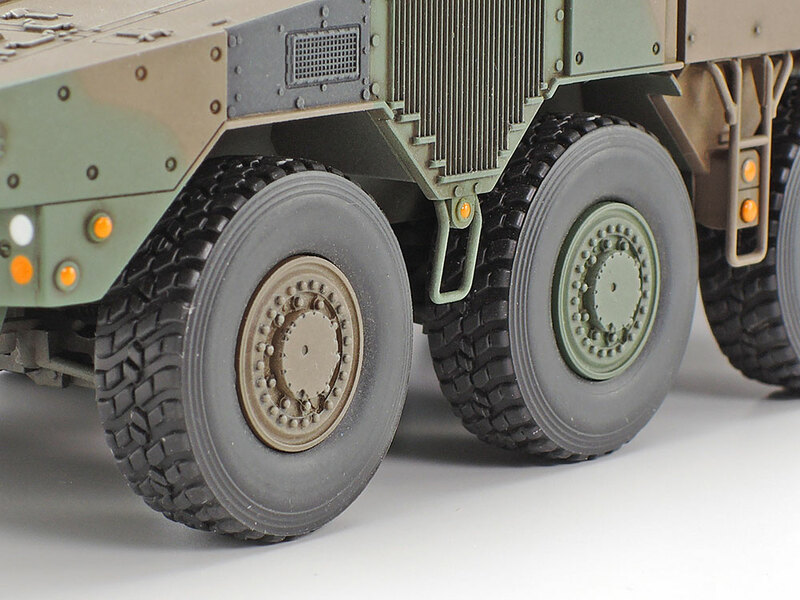 ★Soft resin tires feature authentic recreations of tread pattern. ★Comes with a commander torso figure and two marking options. 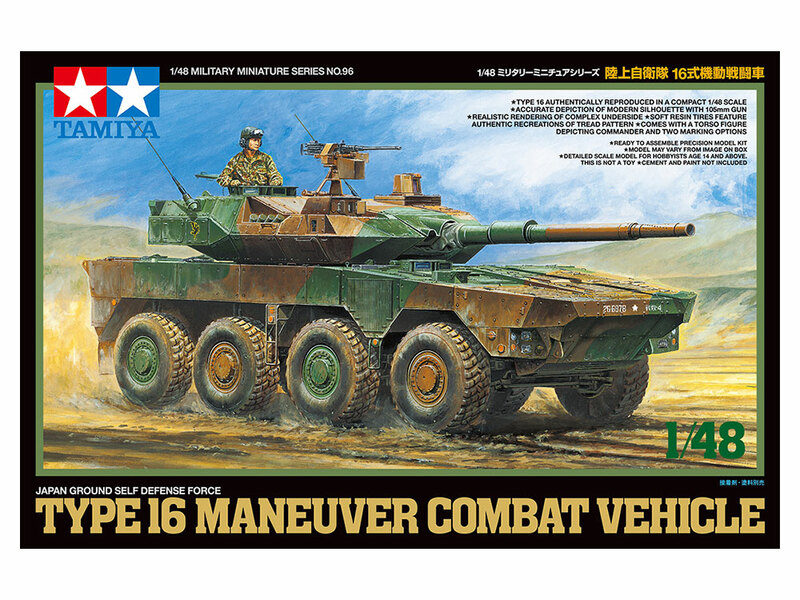 ★The 8-wheeled Type 16 cuts an impressive figure in Tamiya 1/48, with plenty of detail across the model. 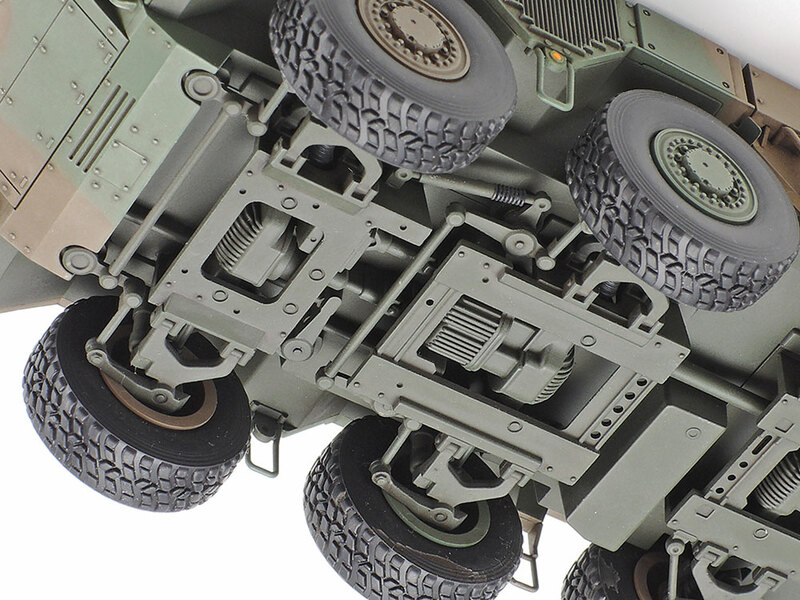 ★This image shows the complex underside, depicted in style without taking the parts count too high. 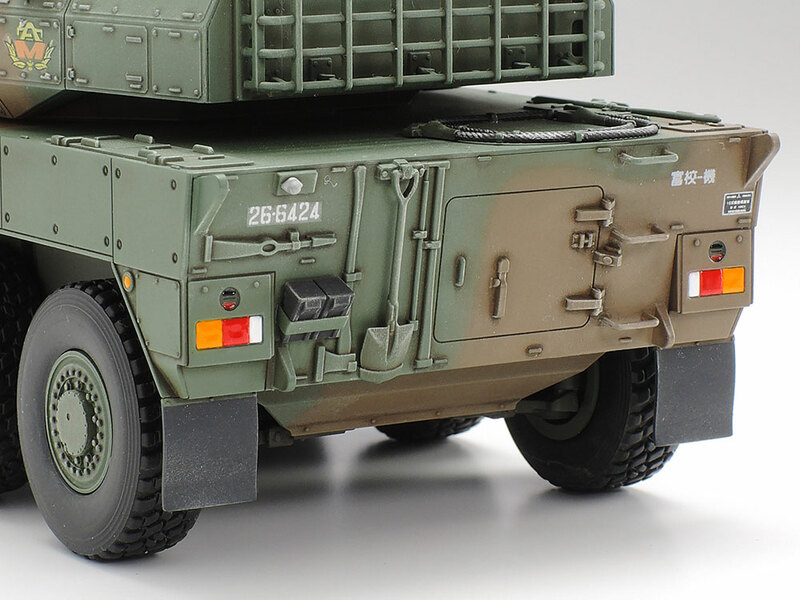 ★Here are the tires, which are molded in soft resin and depicted with realistic tread patterns. 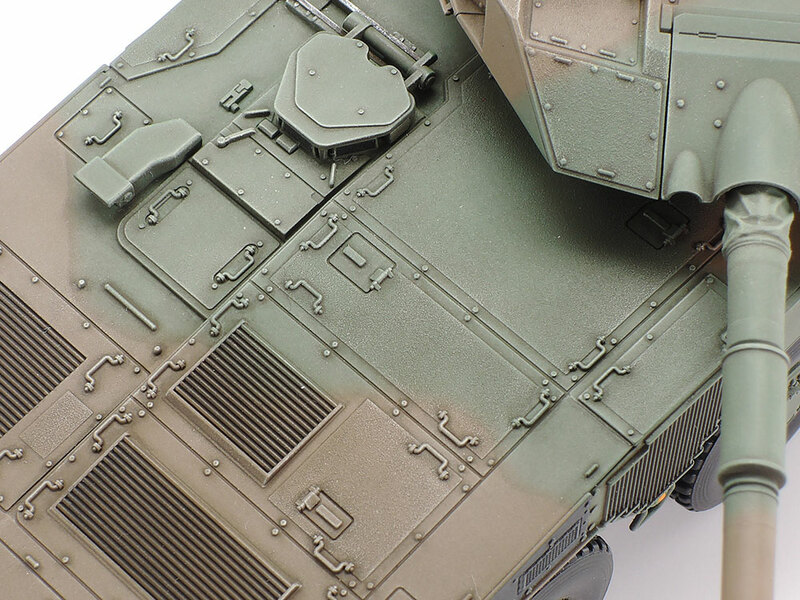 ★Left: Features a movable depiction of the wedge-shaped turret and 105mm gun. M2 offers excellent detail. ★Right: Hull faces are highly realistic, down to depictions of handles and non-slip surfaces shown here. 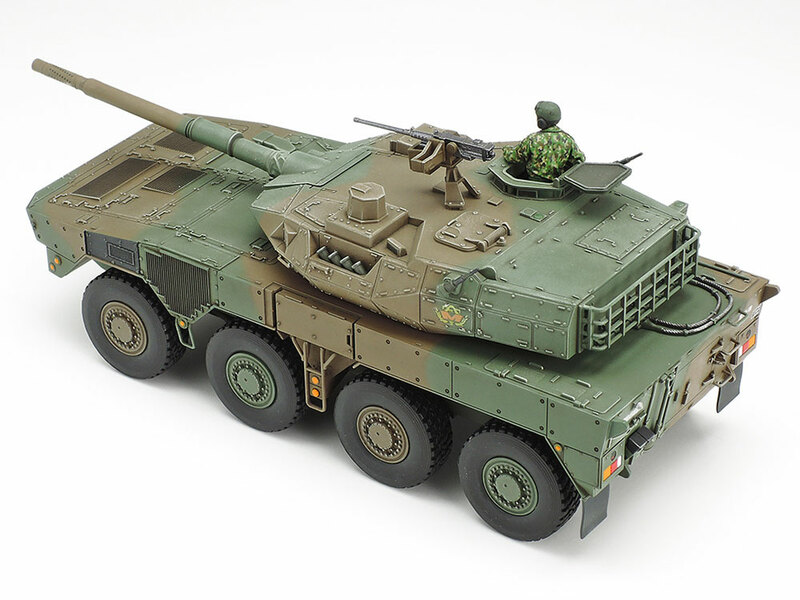 ★Left: The rear of the model is bedecked with accessories, while the turret rear has a basket. 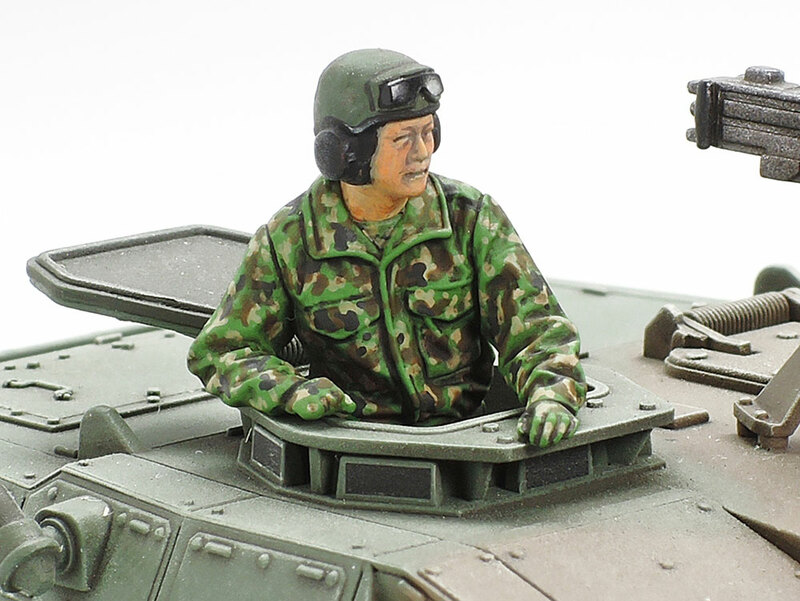 ★Right: A torso figure is also included in this kit to add a further layer of realism to your model. Information is correct as of January 22, 2019. Specifications are subject to change without notice.